Generally, when we go for a stroll on the beach, our gaze tends to fall towards the sea, rather than inland. But sometimes it pays to turn our gaze towards the dune landscape too, as dunes sometimes harbour treasure troves of environmental history – in the form of middens. On one recent stroll along the stretch of beach which connects Raumati South and Paekakariki on the Kapiti Coast, I happened to spy this midden [below] in the upper part of the foredune. A midden is a term used by archaeologists for a rubbish dump of pre-historic peoples who once occupied (or traveled through) a site, leaving their refuse behind. In New Zealand, middens are generally comprised of shells, but animal bones, tools and other artefacts, such as cooking stones, can also be found in or near such sites. 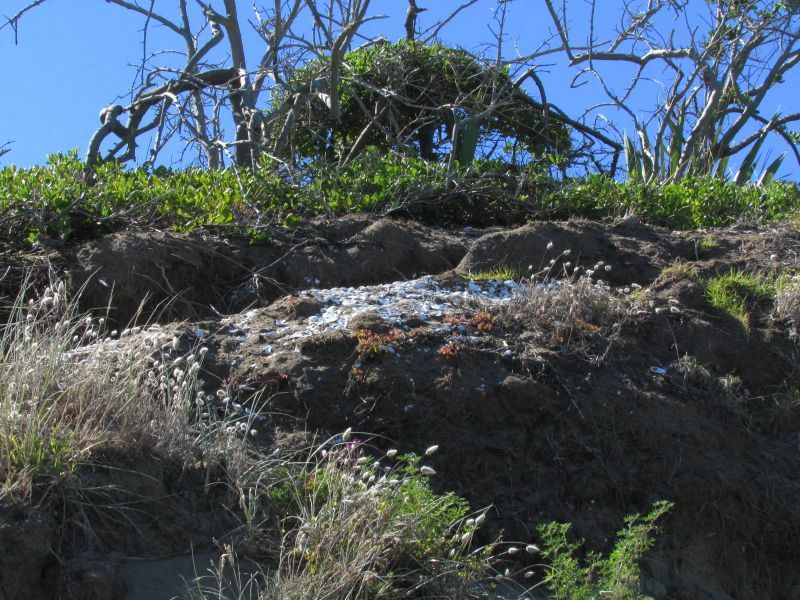 In the lower North Island, perhaps the most methodical and comprehensive record of middens was undertaken by G. Leslie Adkin, in the Horowhenua area. [See: The legacy of G. L. Adkin – keen “reader of the land”] Adkin was in actual fact a Levin farmer but preferred archaeological, ethnological and geological pursuits to agrarian ones. He did however find one small midden at Raumati South that contained moa bones and oven stones. In Paraparaumu for instance, most of the dunes (including pa sites that sat atop the higher dunes) were flattened to make way for roads and houses. 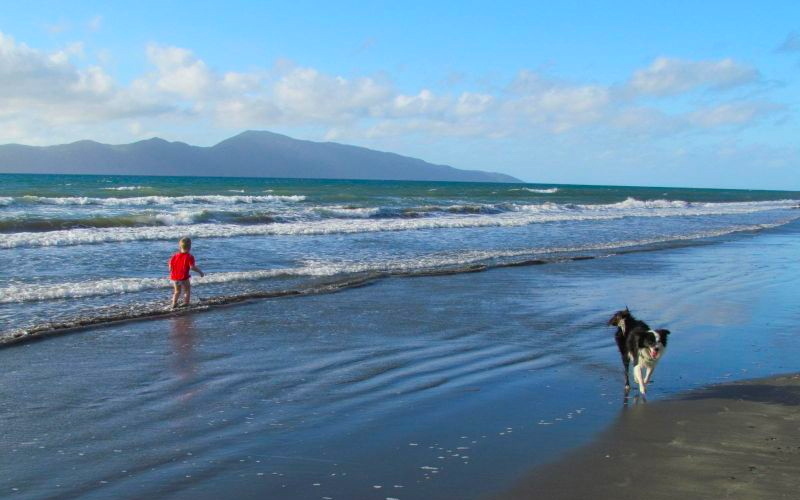 Fortunately, QE2 Park, inland of Raumati South beach, contains an extensive area of largely unmodified dunes. Therefore there is a stronger possibility of middens and other archaeological sites being found there. So, according to Beckett’s analysis the midden above is likely to be the refuse left behind after a coastal meal on shellfish, rather than a sign of permanent occupation. Sadly, no sign of moa bones in this one, but who knows what might be revealed to the eagle-eyed on their next stroll along the beach! Further reading: Ancient occupied sites of the Paraparaumu District, by Peter Beckett, The Journal of the Polynesian Society, vol 66, 1957; Archaeology of the Wellington Conservancy: Kapiti-Horowhenua – a prehistoric and palaeoenvironmental study (1997) by Bruce McFadgen. Next Article Caterpillars stop train!